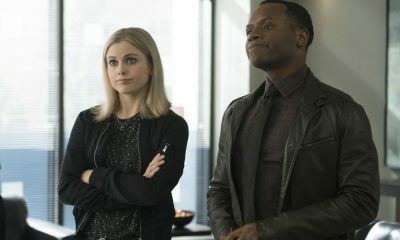 With the reveal that Lowell (Bradley James) has been getting his steady supply of brains from Blaine (David Anders), and Liv’s (Rose McIver) vow to take Blaine down for killing street kids to provide a steady supply of brains for his customers, Lowell looks to be in a tricky spot between his girlfriend and his brains-supplier. So does love rule out or will the Lowell side with Blaine out of sheer preservation? 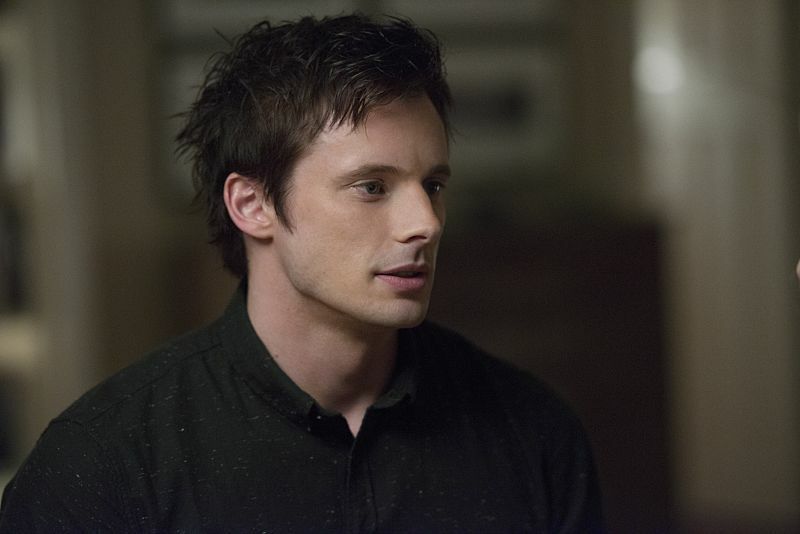 In an exclusive interview, star Bradley James teasingly talked about Lowell falling for Liv and did his best to dodge all the spoilerish questions about whether Lowell’s days are numbered in the showdown between Liv and Blaine. As of last week’s episode, Liv finally discovered that Lowell has been getting his brain supply from Blaine. 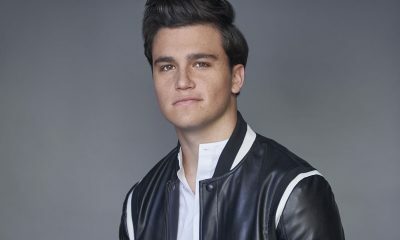 Is Lowell going to be onboard with Liv wanting to take down Blaine, or does that create a conflict for Lowell? BRADLEY: [Laughs] Now you realize that is essentially talking about the future and all the things we haven’t seen yet. You have to try, but I am not the man to be spoiling anything. BRADLEY: [Laughs] Come on, I wasn’t born yesterday! Nice try. Do you think Lowell at this point is falling for Liv? Or is he merely happy to have someone that he can relate to and to have around to hang out with? BRADLEY: I think you could argue that most relationships tend to start with trying to figure out if you like a person and you go from there. I’d say that part of that development that you go through in relationships, and I think that is maybe where Liv and Lowell are at the moment. It’s where you figure out stuff about a person and how much you enjoy spending time with them. To hear Lowell describe it, he kind of fell in love at first sight. Do you think that is true or do you think he was just enamored with Liv, initially? BRADLEY: I think there are probably a few factors: (1) while Liv is very pale, she is still not difficult to look at, (2) she’s a zombie, and (3) she’s a lot of fun. So I think there is no reason for why he shouldn’t take a liking to her. I guess there is no kind of rule book on the futures of a zombie relationship, but there seem to be many reasons for him to fall for her. What do you like about their relationship? What for you has been fun about it? BRADLEY: I like the fact that they both play when they get together — even when they first spoke. 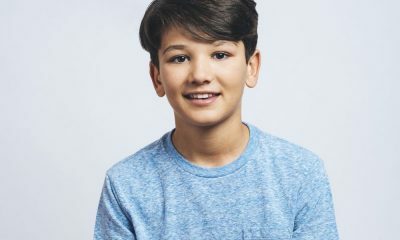 It was a bit tentative at first on Liv’s side because she thought Lowell might be a murderer, but once she figured out he wasn’t, there has been a lot of playfulness. If you were putting odds on them making it as a couple, should fans be betting for them to have the romance of the century coming up? BRADLEY: I think everyone is aware that there is also a “Major” question-mark in the background, and his name is in fact Major (Robert Buckley). So I would say that is something that will eventually be addressed because we get the feeling that Major is endgame. That’s how the show starts its premise and so I think there is probably a large portion of the fans who are rooting for the poor guy. He’s getting beaten up a lot and it seems he’s taken a lot of facial injuries. I think his fan base will slowly build and kind of root for him a bit. For you, what do you like about Lowell? What do you most admire about him? BRADLEY: The playfulness. He’s quite a cheeky chappie. He’s relatively light-hearted right now about the whole zombie experience — seemingly. I like it. It’s fun to play. There’s a kind of teasing aspect to this guy who comes into Liv’s life. Just character-wise, I like getting to play around with him. If you got to sit down with Lowell and talk with him, what would you like to ask him if you had a chance? BRADLEY: What would I ask Lowell? What a strange circumstance you have created there. Sitting down with a man, what would we talk about? Well, I’d probably say, “Alright mate, want to go down to the pub and hang out for a bit? Do you like football?” Yeah, I’d probably ask him about football and the game. That would probably be the extent of the conversation with Lowell. Do you think you guys would hit it off or would you think, “he’s just too different from me”? BRADLEY: Is he too different from me? He’s into his music and my relationships with other males tend to circulate around sports and I’m not sure how into sports Lowell is. Well, he jumps out of planes and that’s an extreme sport. I think we could bond over something like that, actually. 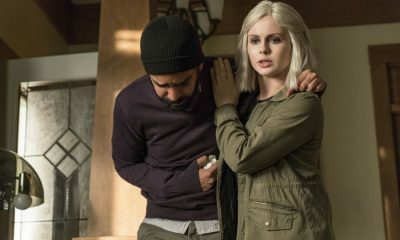 We also know that Ravi (Rahul Kohli) is also trying to do experiments on Lowell to see if there is a cure possibly for zombie-ism. But now Ravi might be infected. Is Lowell going to have some tips for Ravi, even though we haven’t seen if Ravi has been infected yet or not? BRADLEY: I feel like they have bonded in that little scene with the rats and all that. I think Lowell wouldn’t turn Ravi away if he needs some advice and Lowell would have another zombie friend. I don’t think there are too many zombies out there — or very many levelheaded zombies anyway. They all seem to be a little bit rage-y, apart from Lowell and Liv. Zombies tend to get a little bit murderous. What has been the funnest part of working on IZOMBIE? BRADLEY: The cast. The cast is a wonderful bunch — in terms of both on and off set — I’ve had a lot of fun with them. I did the majority of my work with Rose, and off-set I was able to hangout with Rahul, Rob and Malcolm. I just had a great time. It was a thrilling experience while I was up there [filming in Vancouver]. Time seemed to fly by because I was having so much fun. I’d say that is probably something that comes across on screen because of the cast — that’s who they are — they are having so much fun. Did you ever have a hard time eating the fake brains? BRADLEY: Do I ever eat any brains? I haven’t actually had to eat brains yet. No, that hasn’t come my way. I haven’t shot any scenes where I’ve had that conundrum. That’s a question for Rose. She eats them all the time. If you would like to share any teasers about what is upcoming in this next episode “Patriot Brains,” would would you like to share? BRADLEY: I actually wouldn’t like to. I would absolutely hate to. It would be against the actor’s creed to give anything away about future episodes. [Laughs] Actually has to do with ignorance. I don’t know what happens. I haven’t seen the episode yet. But why I would encourage fans to tune in is to see what a great job the gang has been doing so far. It has been a pleasure working with them. Maybe you could just share one more thing: will we get to see Lowell in full-on zombie-mode again? BRADLEY: [Laughs] See, I feel what you’re doing here. Here’s what I’ll tell you: keep tuning in. I guarantee since the show is doing very well and has been picked up for a second series — I cannot say I am surprised as the work that has been done by the main cast is terrific — that I think it will continue to draw in an audience and, hopefully, it will grow.